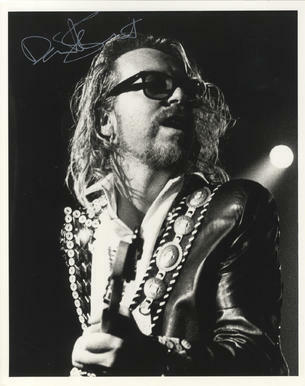 This is a superb Hand Signed nicely in silver pen Black and White 10" x 8" Photo of the Talented Musician formerly with The Tourists and The Eurythmics with Annie Lennox. David Allan Stewart (born 9 September 1952), often known as Dave Stewart, is an English musician, songwriter and record producer, best known for his work with Eurythmics. He is usually credited as David A. Stewart, to avoid confusion with other musicians named "Dave Stewart".